A beautiful decoy with reaching, swimming head and sculpted tail. Pristine original paint with old retouch to a few tiny back flakes. 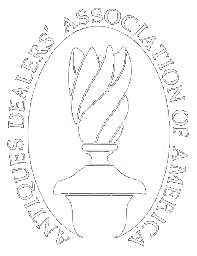 Original pad weight. A classic New Jersey decoy! 25 1/2" Long x 11" high. Hollow-carved in excellent original condition. Original paint is strong with minor gunning wear. Minor professional repair to a chip on one side of the neck. A terrific New Jersey decoy. 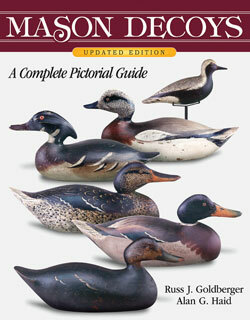 See Doherty's"Classic New Jersey Decoys," page 127.